There are so many coaches who I admire for the insights and strategies that they bring to the game. Many are the usual suspects like John Wooden and the way he created a winning culture through character building and the Pyramid of Success; Phil Jackson for his calm, Zen-like approach to the game and his unwavering belief in the Triangle Offense. I’m a big admirer of Don Nelson, who I saw as the wacky professor willing to bring creative and counter intuitive strategies to the game; Jerry Sloan and the simplicity and basketball purity of the old Utah Jazz offense, Pat Riley of the NY Knick era and the tough, defensive principles he preached; Jim Boeheim for his conviction and belief in the 2-3 Zone. The list goes on and on. But there is one coach who I find most inspiring when it comes to creating my team's identity – John Chaney. 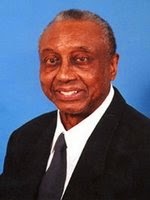 I admire Coach Chaney because I always felt a kindred spirit with him. His teams were made up of tough, Philly kids while my early teams consisted of tough, inner city kids from New York City. I always admired the way he was able to get his teams to play smart, disciplined basketball. He held them accountable. It is what I strive to do with my teams. There was toughness imbedded in his teams. Though I no longer coach players from the gritty, urban environment of Brooklyn and the Bronx, and now coach those who emerge from the more idyllic, pristine landscape of Bermuda, one thing remains the same: I still believe toughness…being tough-minded…is the cornerstone of building a successful team. It is through the writing of John Chaney that I draw inspiration when building a team identity. I’ve used his writing in the classroom as well…from Grade 2 to Grade 5. It is an excerpt from Winning is an Attitude – A Season in the Life of John Chaney and the Temple Owls. For those of you who are not acquainted with this piece, I hope you will enjoy it. I begin every year with “The Speech”. My players hear it four straight years and could probably come in and recite it. It goes like this. We’re charged as a coaching staff to teach you something: that you’re in college to learn about life. If we can’t convince you of that, you have no reason to be here. You have a responsibility to recognize that you have something here. You have to look at the fact this is a four-year investment in yourself that will last a lifetime. College is the fountain of life. You have to drink from it. You can’t sit around for a whole semester and hope something will happen. You have to work at it. The greatest assurance of success is that each and every one of you must agree that you are in a family setting. There are different rules that exist when you try to live together as a family. You can do certain things as an individual and get away with it because you only have responsibility for yourself. But, when, you’re on a team, when you’re in a family, you have to always think about if what you’re doing is going to create a problem for someone else. This might be the only time in your life that you will be part of something so strong and a part of something so meaningful. You can’t be successful, no matter how talented you think you are, if you decide to go in another direction than the one we agree on today. This basketball bounces a certain way every time it hits the floor. It’s not like a football. A football bounces a different way every time. Your behavior must be like bouncing a basketball. I have to be able to predict success based on your behavior, and your behavior must be the same every time I call on you. If you don’t go to class, if you don’t function in the classroom, we can’t function as a team. They are one in the same. They’re no different. They’re equal. When you fail in the classroom, you fail out here on the basketball court. You just don’t die in one place and live in another. If you’re having a problem with one of your classes, you must let us know. We’ll get somebody to help you – not somebody to do your work, but someone to help engage your mind. I don’t care how good a player you are; if you are not balanced, I have to cut you off. It’s that simple. What I am selling, you must buy. You have to buy it. If you don’t buy it, we can’t live together. The contract says you go to class and function in the class, and then you can play basketball. One hand watches the other. It’s very difficult to talk to somebody about life on the basketball court when he’s not functioning in the classroom. The team can’t be successful with players that don’t think well or don’t respond. I want to put good human beings out on the floor. People who are playing sports for the right reasons. Sports are a vehicle. It’s a car that takes you from one point to another. You use sports to get your degree. That’s the main reason you’re here. Always remember the value and importance of your education. One of the things we can’t involve ourselves with is someone with a weak mind who can be swayed in a negative direction. I don’t care how poor economically you are, you cannot be the kind of person that will lean toward another value system. Just because you see someone walk around in expensive clothes and have gold chains around their neck and money in their pockets doesn’t mean you can be swayed and forced to move in a direction that will mean loss of our structure as a family. If you’re going to let yourself down, you’re going to let all of us down. You have to put things in the right priority. You have a lot of long days ahead of you, consisting of practice, classes and study hall. Character is very important for us. Make sure I understand what you are and whom you are. I want gentleman. I don’t want people who are heathens….You’ve got to make the right decisions. It’s very simple. If I’m walking down the street and there’s a dark alley and I see twenty-five or thirty guys walking out of the alley with baseball bats, I know they are not going to a baseball game. I get out of there as quickly as I can. I don’t go up and say, “Hey fellas, what’s up? How you doing?” You have to make a good decision. You have to clearly read what’s right and wrong. If something or someone will drag you down, stay away. You may have to elevate yourself from the people that you used to hang with. If you want to remain in the same spot the rest of your life, there’s something wrong. Having a good attitude, a responsible attitude, is the only way that you can be successful…If you’re looking for a shortcut, an excuse to lose, you’ll always be able to find one. The people who are successful are the people who think well and make the right decisions. When you’re on the basketball court and looking at the opposition, you have to take into consideration what is there. Do I shoot? Do I pass? That kind of reading is important, and that is the same kind of reading you must have through out life. If I‘m yelling at you on the basketball court because you’re not functioning and you’re not doing what you’re supposed to be doing – after we have taught you and worked with you – you must realize it’s not you I’m yelling at, it’s your behavior. You have to be able to separate the two. I don’t want a team that escapes from reality and escapes from the truth. I don’t want people who always have a story and are always conniving. People like that will not face trouble when it comes. They become immersed in failure. They learn how to fail. They get good at being bad. Nobody wants to take the last shot in a game. No one wants to try because there is comfort zone in failure. I don’t want a team that can’t negate life, that won’t take a chance at life. I don’t want a team that avoids responsibility.